Daryl Liggins is a 26 year veteran of the fire service. He currently holds the rank of Captain with the Oakland, CA fire dept. He previously served as a firefighter/engineer with the Redwood City, CA Fire Department. He has served as a hands on training instructor for engine company operations at many conferences including Fire Engineering’s FDIC, Firehouse Expo, Boise firefighter symposium, County fire tactics High rise operations conference and other various hands on training courses. He instructs engine company operations for the Oakland fire department fire academies and is the chair of Oakland fire departments hose and nozzle committee and has played a key role reshaping some basic engine operations and standpipe operations for the department. He currently sits on the board of directors for fire nuggets a non-profit training and magazine group by firefighters for firefighters. Daryl Liggins discusses a critical and often overlooked detail in fog nozzle selection, pattern selection rotation. 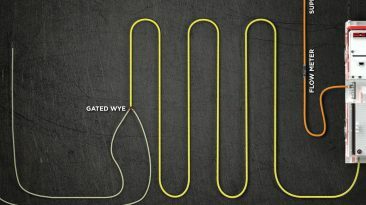 In Part 2 of 2, Daryl Liggins and Dennis LeGear review gated wye operations with modern flows. In Part 1 of 2, Daryl Liggins and Dennis LeGear review in detail gated wye operations, specifically legacy operations. 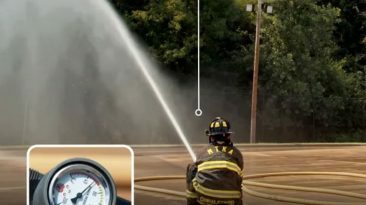 Daryl Liggins explains the implications of passing debris in a nozzle equipped with an inlet screen, as well as a nozzle equipped with a stream shaper which can act as a screen depending on its placement.